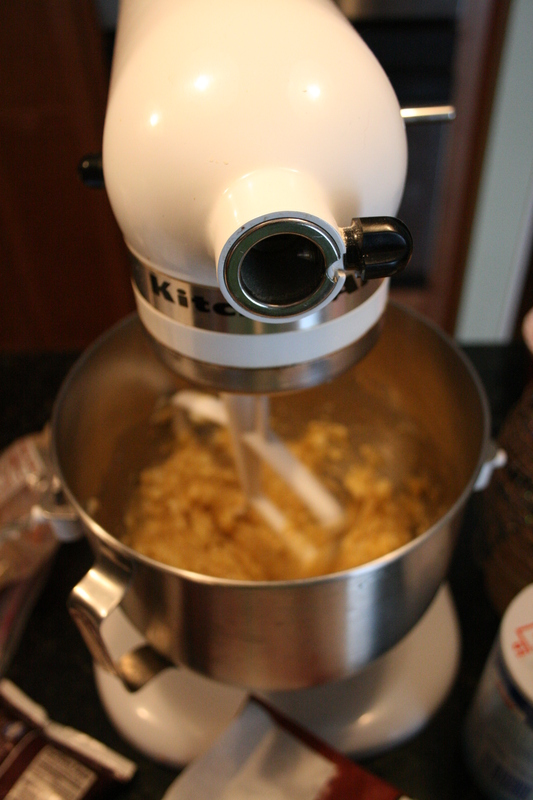 Meet my KitchenAid mixer, one of my prized possessions. It only gets trotted out a couple times a year, and it's only guaranteed to see the light of day at Christmas. 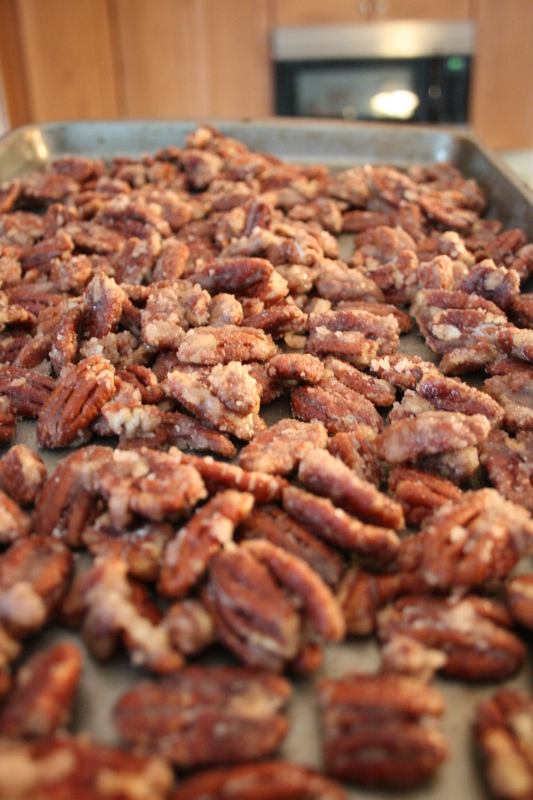 Without it I'd never do half the holiday baking I do. Which could mean I'd be able to wear my skinny jeans again, but 'tis the season. I didn't bake as many cookies this year; what I made will definitely be sufficient without leaving us facing thousands of unnecessary calories after the holidays. Somehow, I think we'll consume enough as it is. Then there's the fudge, which I didn't photograph (believe it or not). I found a recipe that doesn't use marshmallow, so my vegetarian son can eat it (marshmallow contains gelatin, which is often made from animal products – therefore he won't touch them). 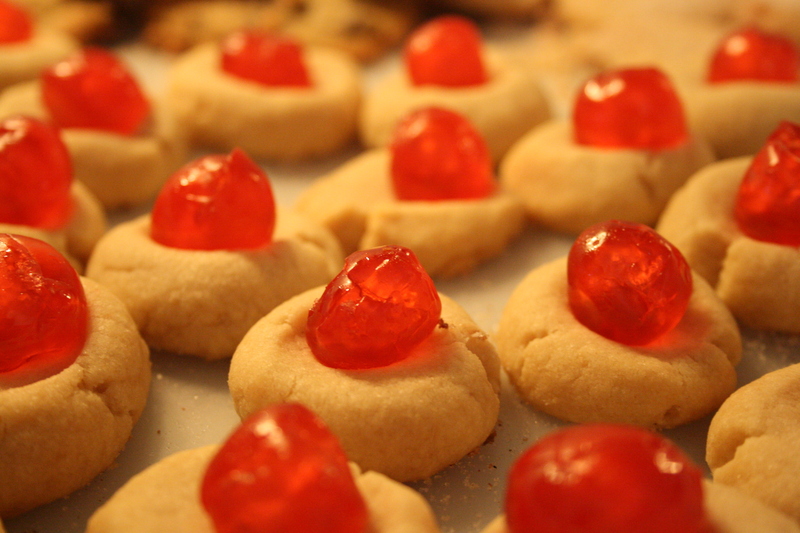 The sugar plum cookies (basically shortbread dough with chopped spice drops – very pretty cookies) have almost been completely consumed. That's a hazard of baking too early. I think that's it for this year, unless I decide to make the meringue cookies. 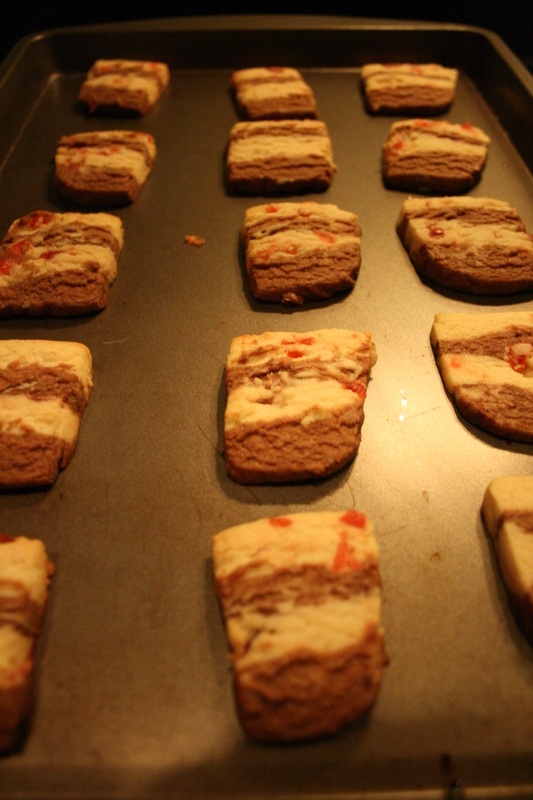 They would be pretty on the cookie tray, and they do look pretty easy. I'm undecided. I divvied the treats up into containers for each function (Christmas Eve at the in-laws', home for Christmas Day, the visit from my brother and his family for a post-Christmas get-together). And the nuts I've put FAR OUT OF MY REACH. The house smelled heavenly yesterday. Wish you could've been here to absorb the buttery, chocolately goodness. Oh, and the cinnamon … God love the cinnamon! Another holiday tradition checked off the list. Pity, though, Galpal and I couldn't get together for baking this year. I wasn't feeling well at all on the day we scheduled, then things just got too busy. Maybe next year. I spread my cookie baking out this year. I finished it in two afternoons. It's not quite as exhausting when you break it up, but doing it all at once is too much for me anymore. It may not seem like baking's a lot of work, but it actually is. It means being on your feet most of the time, which is more tiring than it sounds. Either that, or I'm getting old. I'll go with the standing. Next Post Things I did yesterday that I’m too tired to talk about.